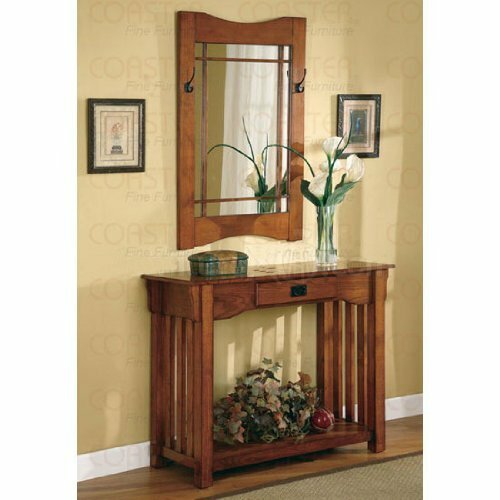 950060 Features: -Includes console table and mirror. -Oak finish. -Sturdy construction and design. -One storage shelf. Specifications: -Table dimensions: 30” H x 38” W x 16” D. -Mirror dimensions: 38” H x 24” W x 1” D.